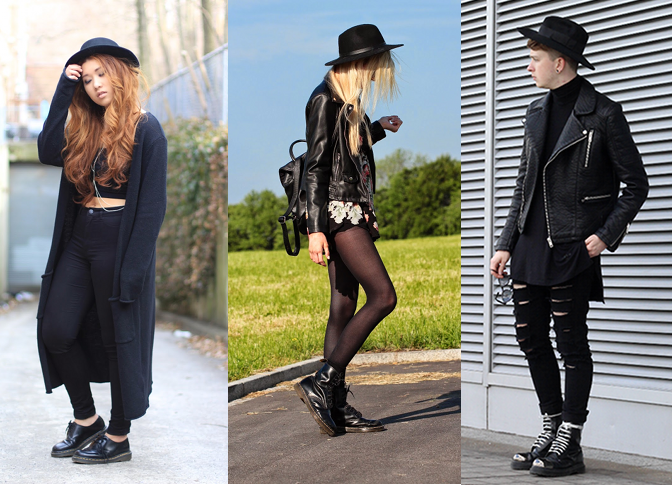 Inspirational: How To Style Dr. Martens Boots? | Memorable Days : Beauty Blog - Korean Beauty, European, American Product Reviews. Inspirational: How To Style Dr. Martens Boots? I've always loved the style of Dr. Martens shoes. It has been out since the year 1901 and it's still a very popular brand now-a-days. They opened a Dr. Martens store in Amsterdam half year ago and I love the look of their store. You can check out their new collections there or customize your own Dr. Martens shoe at that location. Well, do you own a pair already? In today's blogpost I'm going to give you some tips on how to style these baby's. I normally would have worn sneakers below this outfit, but you can easily mix and match a comfy outfit together with the Dr. Martens boots. These are the shorter versions. Great boots for rainy days too! You can wear it together with other black pieces and keep the outfit simple. Make sure to wear black pieces of different materials. 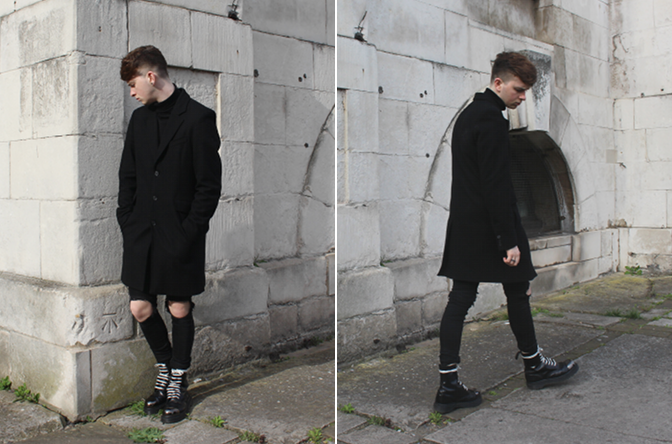 As you can see Dr. Martens can be worn by men as well! They even sell kid sized ones which are specially made for kids. Most people will mix and match Dr. Martens lace boots with more of an edgy look to it by matching it with a leather coat. Believe it or not but you can actually give a girly twist to it when wearing these boots. Adding colors to the outfit and floral patterns can give you a very different view to it. Just play with some colors and the boots can be worn during the Spring & Fall period as well! I might try this out with my floral skirt! HOW WOULD YOU MATCH YOUR DR. MARTENS BOOTS?